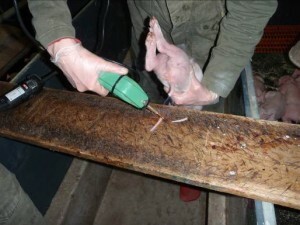 A a two-day international conference focusing on pig welfare will be held in Copenhagen, Denmark from the 29th to the 30th of April 2015 – and is open to all with an interest in the field of animal welfare, production and research. Entitled “Improving pig welfare – what are the ways forward?”, the conference will bring together scientists and specialists who will present recent knowledge on animal welfare with the main focus on pigs. In addition the conference will facilitate discussions on the ways forward for pig welfare in several workshops and a panel discussion where stakeholders from different organizations will be brought together.